Just as almost everyone can recall where they were when news broke of John F. Kennedy’s assassination, a lot of rock fans can vividly remember that day in 1970 when the news of Jimi Hendrix’s death came down. Joe Satriani was in high school at the time. He was standing out by the school gym in his football uniform when somebody walked by, made a crass remark about Hendrix, and then mentioned that he was dead. That was it for Satriani. He gave up football on the spot and devoted himself to the instrument that was such a living, breathing force in the hands of his mentor. And now he has done it. Currently Satriani, 33, is the most raved-about guitarist in rock. His mastery of technique and inventive approach to creating wild sounds has made him numero uno among fans and critics. But for all his drive and ambition–and obvious talent–Satriani might have remained in six-string obscurity to this day if he hadn’t overcome the broke-musician syndrome by using his own credit card to finance the recording of his debut album, Not of This Earth. It seems no one in the music biz wanted to know about him at first. Satriani was originally going to release the album on his own record label, Rubina Records, but his former guitar student Steve Vai–who by this time was David Lee Roth‘s axeman–told him to send a copy to the independent Relativity Records, the only company that had reacted favourably to Vai’s previous instrumental solo attempt. Satriani followed Vai’s advice and Relativity released Not of This Earth. While it wasn’t a huge hit, the album made enough noise in guitar-nut circles that Relativity granted Satriani a modest budget for the follow-up album, Surfing with the Alien. That’s when the buzz really started for Satriani. After it’s 1987 release, Surfing went on to sell in excess of a million units worldwide, and became the highest-charting rock instrumental LP since Jeff Beck’s landmark Blow by Blow in ’76. Ironically, that Beck album, along with the Hendrix LPs, had been a huge influence on the young Satriani. The inspiration Satriani got from Beck and Hendrix was only part of what led to his current stature in the field–he would also put in gruelling, 15-hour practice days. But he had to stop those marathon sessions because of his habit of clenching his teeth while playing. That led to the displacement of his jaw or what is known medically as temporal mandibular joint dysfunction (TMJ). It doesn’t tickle. 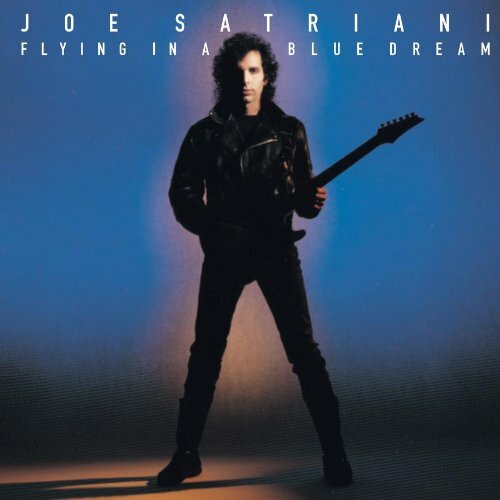 As if the physical pain that Satriani suffered during the Surfing sessions weren’t enough, he had to deal with a whole lot of emotional distress while recording his latest LP, Flying in a Blue Dream. “My father had gone into a coma at the beginning of the record, and passed away just as we were mixing it. And his mother–my grandmother–passed away a few days after he died. So it was almost like extra added emotional fuel, you know, to get more feeling onto the tape. And the songs on the record that are happy songs I think wound up having more of a good-time feel because we all needed it so much. We all needed a boost. Intensity is one thing that Joe Satriani has plenty of. And when he cranks that feeling into this customized Ibanez, through his wah-wah pedal and distortion box, and then out at you through a Marshall amp, look out! Satriani’s playing is hot enough to singe a polar bear’s whiskers, but it’s a beautiful noise with a lot of soul. As Satch sees it, it’s a music of discovery. On one Flying in a Blue Dream track in particular, “Strange”, some of the fearsome emotions Satriani was experiencing come through in his paranoic vocals. But the album is far from downbeat–it’s a very diverse collection of instrumental and lyrical arrangements which reflect a wide range of emotions and musical styles. It’s also a lot longer than your typical rock album, clocking in at an unheard-of 65 minutes. As well as past masterworks by the Stones and Hendrix, Satriani says that he emulates the artistic stylings of Canada’s favourite son, Neil Young. 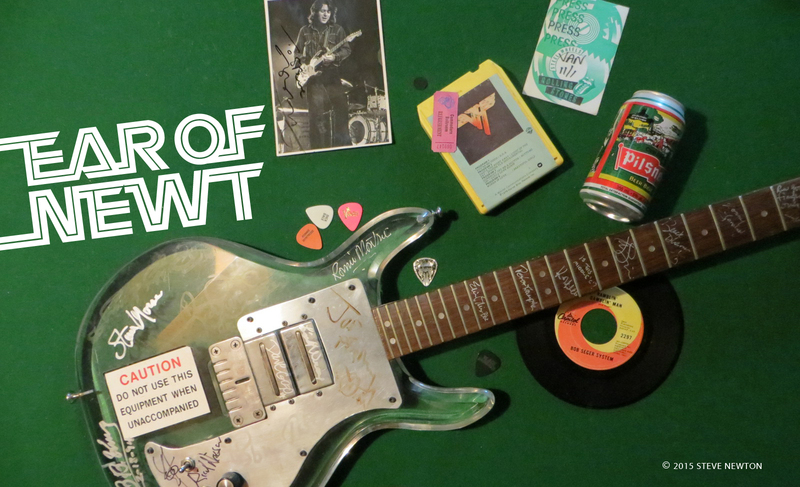 Though he’s not normally seen as a guitar hero, Young is precisely that in Satriani’s eyes. Satriani’s own artistry has recently shown up on the big screen in Say Anything. “One Big Rush”, the most explosive track on Flying, is played during a kickboxing scene in the film, and in a house-party scene later on. With all the praise that Satriani has received from the music press lately, and the groundswell of support that has been building since the release of the Grammy-nominated Surfing LP, he is undeniably a Guitar God of the first order. But he’s the last person to be affected by all the well-deserved hype.